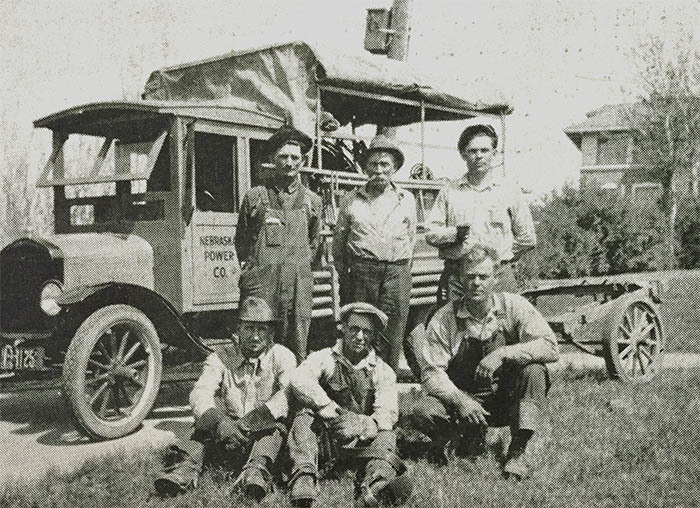 Just as the faces of OPPD line crews have changed, so have their equipment and vehicles. 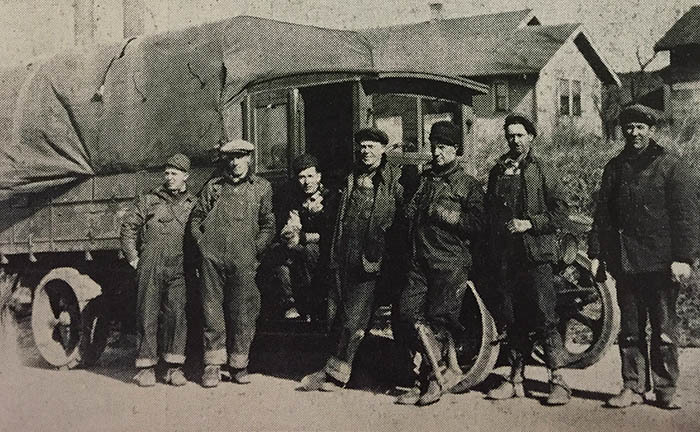 These photos show line crews from the 1920s and 50s. 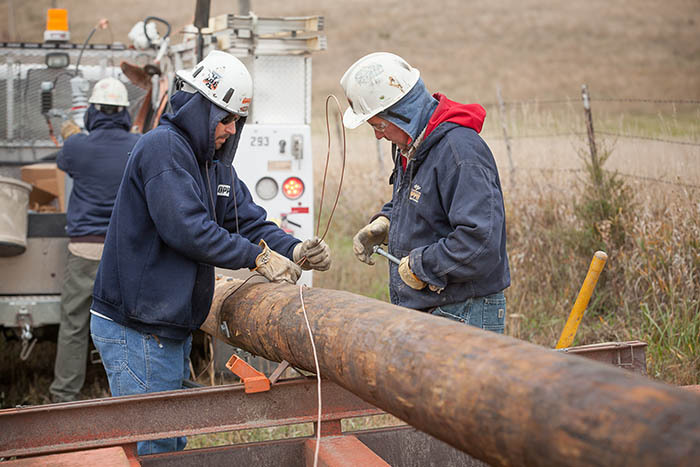 Present-day line crews, pictured below, are on the front lines of customer service for OPPD and are often the “face” of the district in the community. Their jobs are still dangerous, but advances in safety help to protect them every day in the field. 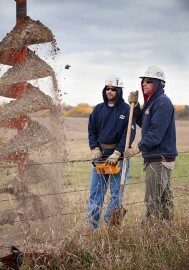 Line technician Dave Brinkman, left, and working line crew leader Roger Schwindt prepare a new power pole in a rural are of OPPD’s service territory in 2013. Line technicians Chris Ryan, right, and Dave Brinkman prepare to set a new power pole in a rural part of OPPD’s service territory. 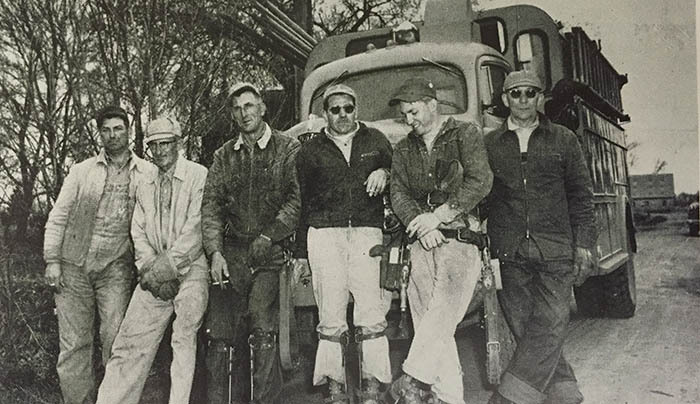 I really enjoyed your pictures of the Linemen of the past and present. 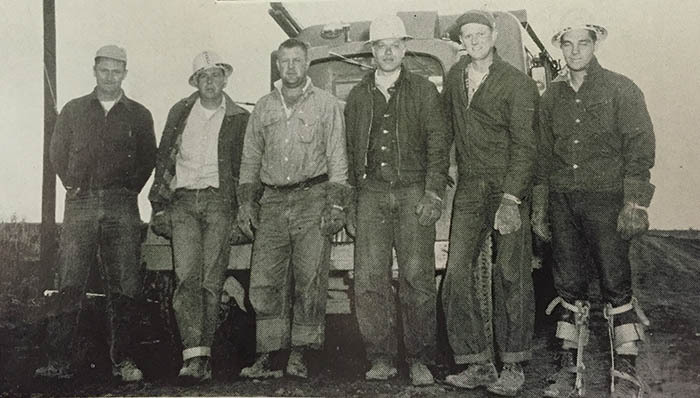 I went to work on the Valley crew a year after the 1956 picture was taken…………A great bunch of men. I retired in 1995 and am still going strong. 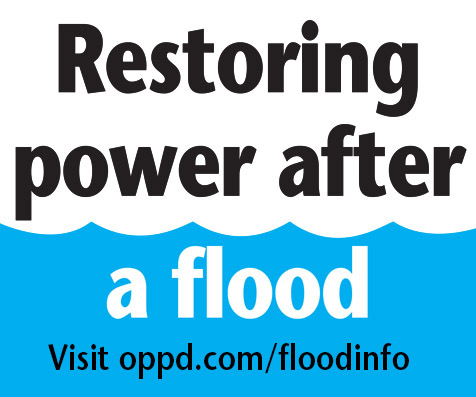 Linemen & their foremen are indeed the face of OPPD. Long ago when I worked at OPPD over 30 of these fine men had died serving OPPD customers. These folks not only face possible electrocution but face falls & other hazards associated with outdoor construction work. As more homes produce their own electricity with generators & solar power, those power sources have to be isolated as well for these men to do their work safely. My hat is off to these fine folks. Thanks for your service. these men are my heros and are amazing people!! I have seen the work non-stop in a storm and watching each others backs for safety. They really deserve a huge thank you from everyone for the things they do to keep people in power. I really love this section of the wire, to see what the power company has gone through to get where we are.